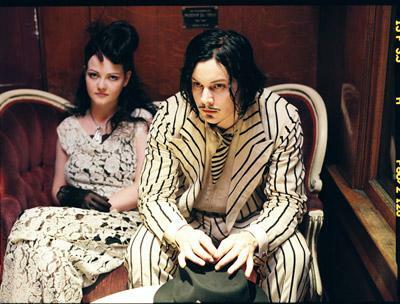 The White Stripes will be performing an intimate show at The Fillmore @ Irving Plaza in New York City on Tuesday, June 19th. Tickets go on sale Saturday, June 16th, at 10 am EST and will only be available at The Fillmore box office. Tickets are $30 each and there is a strict 2 ticket limit per person. The box office only accepts CASH, NO REFUNDS. You will be required to show photo ID when purchasing tickets, a voucher will then be given to you to show proof of purchase. You must then bring this voucher and the same photo ID with you in order to pick up the tickets, NO EXCEPTIONS. Tickets may be picked up at the box office beginning at 8 pm on the night of the show. You must enter the venue immediately after ticket pick-up and the vouchers are NON-TRANSFERABLE. Be sure to get there early so you don’t miss their friends, The Citizens Band. In short, I won’t be going. PS As an aside, Irving Plaza traditionally accepts Amex as well as cash at the box office.